Ex. 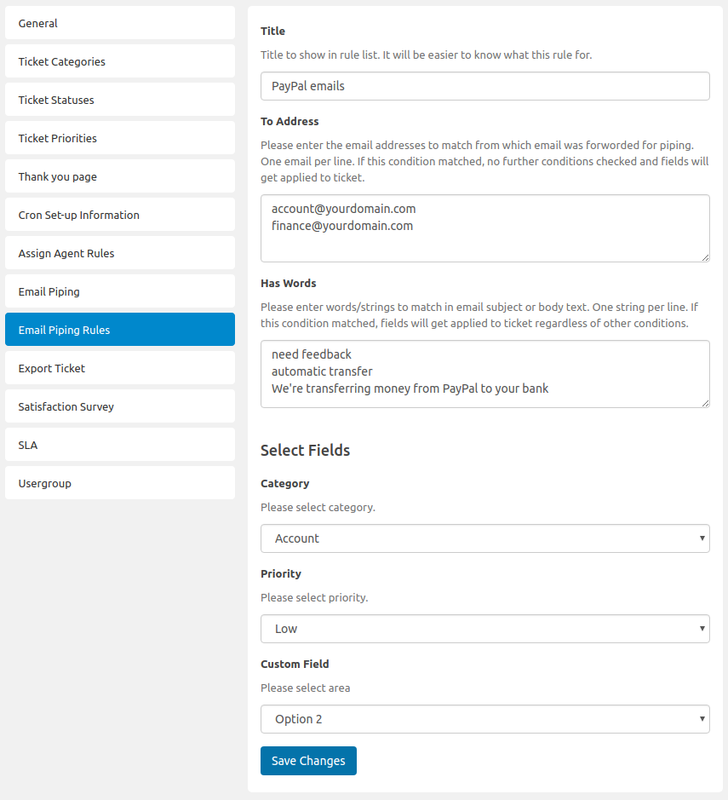 Your customer created ticket on your website. You replied the ticket and notification will sent to customers email address. Ideally customer should come to your website and then reply to the ticket, but this rarely happen. Instead he reply directly to email notification and you simply can not control your customers. This way, you have to keep checking your inbox and chances to miss the communication are high. 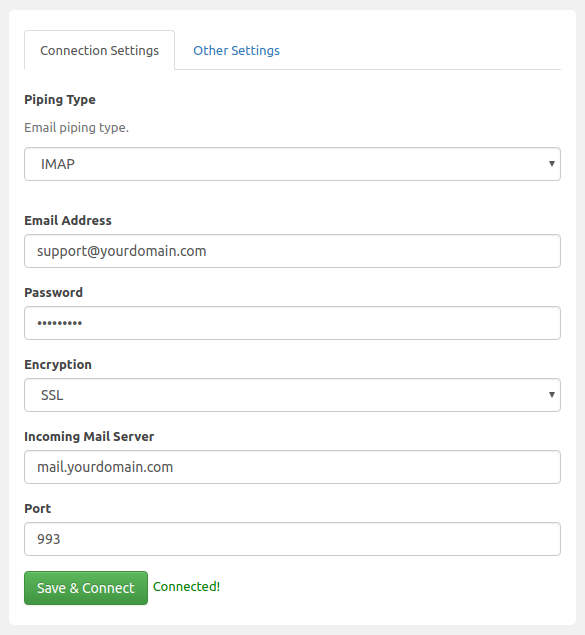 Email Piping add-on covers you here, it imports all your inbox emails in desired tickets. If an email is not meant to reply existing ticket, it creates a new ticket. This way you can simply ask your customers to send an email to your specific email address (e.g. support@yourdomain.com) which then will get converted to ticket on your website. Gmail IMAP is not reliable and you need to enable less secure apps access in settings of google account which is threat to google account security. Google have given Rest APIs for their various products to access data securely with user consent. 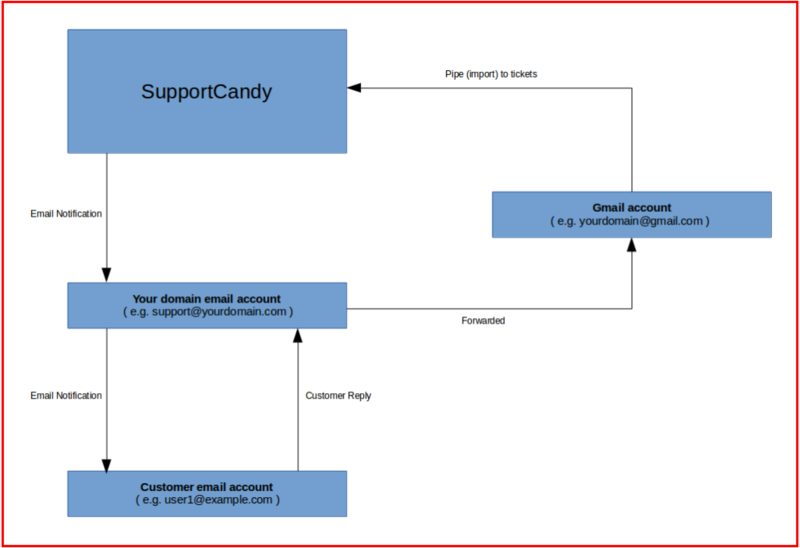 As there are lots of users which uses gmail as their email provider for sending and receiving emails, it was necessary to have this method for them. php-imap module is required to be enabled on php server in order to work IMAP method. Some host providers (very few) do not give this module in their shared hosting plan. In case you have any questions regarding this, please feel free to create a ticket on our support section, we’ll try to reply as soon as we can.